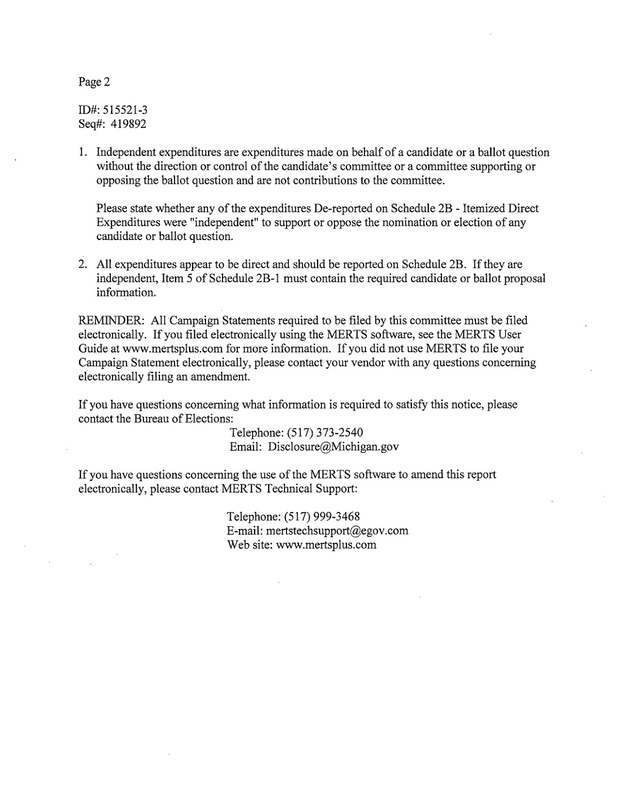 Grand Rapids Charter Township News: What’s New with the 616 PAC? What’s New with the 616 PAC? Four years ago I filed a complaint with the Michigan State Department of Elections alleging campaign violations from Bill Jackson’s 616 PAC. You can see the details in earlier posts. For some reason, the process has been remarkably slow. I occasionally ask the department for an update, but they generally don’t respond. 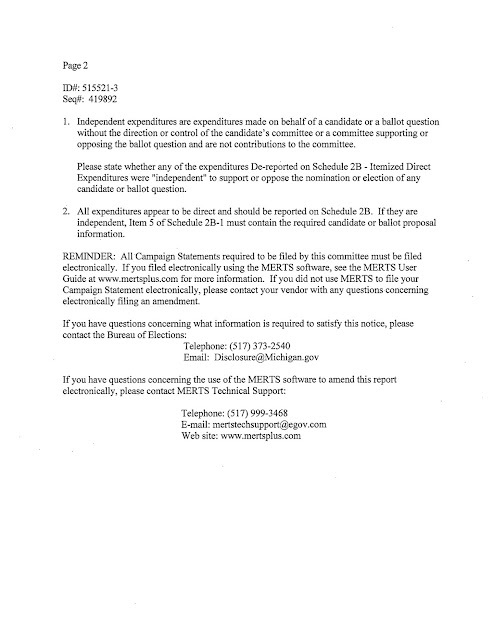 However, interesting documents keep showing up on the Department of Elections web site. 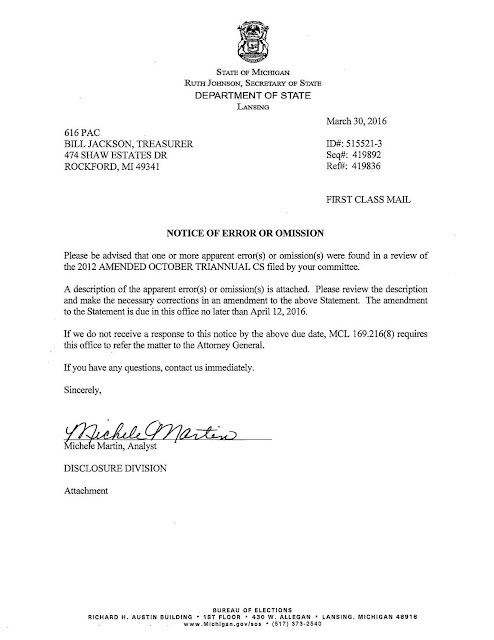 The 616 PAC’s response was to refile and claim the expenses were other than I think they were. We shall see if anything ever happens to resolve my complaint.